Blueberries prefer and acid soil so use plenty of our Tennessee Nursery Mix when planting. Fertilize at planting with Johnson's Nursery Special fertilizer. 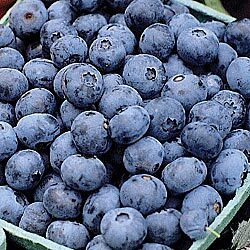 When plants begin to grow in the Spring use the Nursery Special or our Blueberry Fertilizer. Blueberries need plenty of water during the dry summer. Keep the soil around the plant mulched 3 inches deep.